1. The life sketch of Sadasiva, our commentator, like that of any other saintly philosopher in the Indian scene suffers from a dearth of reliable materials on which to depend, to give an authentic version. We have none else to blame except ourselves for this sorry state of affairs. We have had in the past no such systematic chronograph, much less a chronicle to record the eventful lives of many great saints during their lifetime, as we witness today. As for instance, Yogacharya Sri. Krishnamacharya, a rare personality of a living legend, was born in November 1888 in Muchhukunte village in Chellakare Taluk of Chitradurga District in Karnataka State, who possesses knowledge of the sastras. 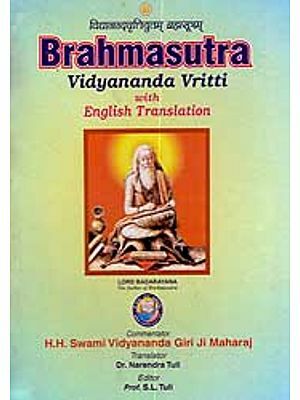 Sanskrit Grammar, the Vedas and Yoga and whose ancestors are traced back to Nadamuni, one of the greatest of Sri Vaisnava Alwars, has been so-much-so chronicled for posterity by Bhavan’s Journal (cf Vol. 35, No. 11 January 15, 1989) that one need not have to fall back on hear-say versions for true details. 2. 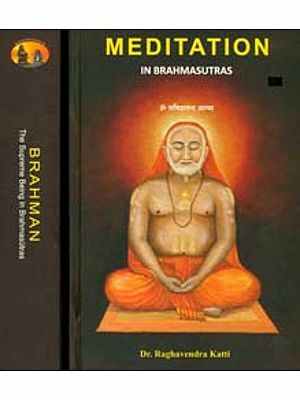 To attempt a biography of Sadasiva on modern lines, one has to look for what is available from the few published materials. 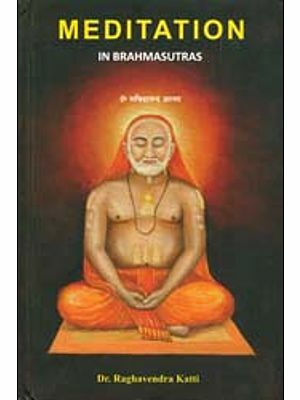 Divergent synopses are offered by different pamphlets and journals and one has to sift the chaffs from the grains before one could get a clear picture of the life of Sadasiva. Even as regards the exact date of his life, which is not an antiquity, unnecessary confusion is created by exuberant enthusiasts by making a terse one-sentence statement that he lived a hundred and fifty years ago, without caring to verify the relevant facts.” From reasonable records available, one can say certainly that he lived about three centuries ago and that the contrary is a misconception. For, there exists a copperplate inscription of 1738 AD, whereby grants of land were made, at the express desire of Sadasiva, to his fellow pupil, Gopala Krisna Sastri, by the then ruler of Pudukotah State in the erstwhile Madras Presidency (now Tami Nadu), round about which time he was said to have been roaming in the forests adjoining Tiruvarangulam, a few miles away from Pudukotah, where-after he was said to have wandered wherever his feet led him. 4. Eokji, who established the Maharashtra Kingdom in Tanjore had three sons, namely, Sahaji, Sarabhoji and Tukoji, of whom the first, Sahaji, ruled Tanjore during 1684-1740. It was in 1693 the Sahaji caused the village, Tiruvisalur, situate on the northern bank of the River Cauvery, to be renamed ‘Sahajirajapuram’ by laying out a agraharam (where usually brahmanas lived in olden times in the South of India) and bequeathed it free of tax to 46 select brahmanas, who were well-versed in Vedas and their families to live in. Great men like Ramabhadra Diksita of Kandramanikkam, Bhaskara Diksita, Vedakavi, Maha-veda-kavi, Vediappa-kavi, Nalla-kavi etc., belonged to these families. There were certain Andhra families also in these; notably Sridhara Lingayaryar [father of Sridhara Venkatesa (Ayyaval)] was one such from Andhra. Sadasiva was another, being the son of Moksham Somasundara, who was one of the 46 donees of Sahajirajapuram. 5. As had been the custom in India during those days, Sadasiva was married to one Kamakshi when both were minors and while he was still studying. No sooner had he completed his studies on Vedas etc. than his young wife came of age in a distant village, when his mother was preparing for an elaborate dinner later than usual. He reflected on this fasting for a longer time than ordinary, thus: if it be the case on the first day of his wife coming to age, what would be the position when he entered the married life with all the accompanying misery! He abhorred the afflictions, to which he would be subject in family life, and took a decisive plunge in search of a spiritual preceptor. After a long and strenuous search, he found at last his preceptor in Paramasivendra Sarasvati (cf footnote 3 below) at Kasi (near Varanasi), under whose expert guidance he began his apprentice- ship in Yoga science. In due course Sadasiva became an adept in Yoga by the grace of his master’s blessings, who gave him his diksa name, Sadasivendra Sarasvati. (the pet name given him by his parents being Pitchukuppan). At about this time he was said to have composed a short poem, Atma Vidya Vilasa, consisting of 62 verses in arya metre on the glory of self-realization. He also spun out several lyrical kirtanas, which displayed his ear for music and his bent of mind with lofty ideals, which, as expressed in his poems, were to quench his thirst for realization.